PLAYBAR is perfect for any sports fan as it features nine built in speakers that brings you closer to the game with waves of epic, full-theater like sound. Using PLAYBAR is very simple to set up and control. It connects to your TV using a single optical cable and power cord and plays everything that is connected to your TV, from cable boxes to gaming consoles. One of the coolest things about PLAYBAR besides its easy setup and theater like sound, is that you can control it by using your TV, cable or universal remote or by downloading the free Sonos app to control PLAYBAR from your, smartphone, tablet, PC or Mac computer. PLAYBAR can be set in front of the TV, on a TV stand, or mounted above or below the TV. To learn even more about PLAYBAR and all the other great products that Sonos has to offer, head over to their website to see for yourself. The event that the company but on last Saturday was a great time for everyone involved. The Sonos employees were very hospitable, knowledgable about their products and love working for Sonos. Being a big sports fan myself, watching the Cubs game with Sonos HiFi was incredible. The sound brings you closer to the game and creates a more exciting atmosphere to watch sports game. The products are also great for watching movies or listening to music as well. For music, movies, or sports lovers, Sonos is a must have to increase the excitement of watching a game at home. If you have not heard of Sonos, I strongly encourage you to check them out and give it a listen. 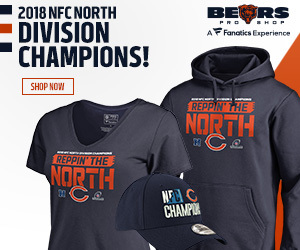 With the Bulls and Blackhawks in the playoffs, Cubs and Sox getting underway, and the Bears season quickly approaching, what a great time to go ahead and buy one of their awesome products.